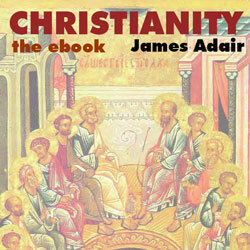 Christianity—The eBook examines the Christian religion from both historical and phenomenological perspectives. The book includes sections on the Jewish and Greco-Roman settings in which Christianity was born, a survey of early Christian documents (especially the New Testament), the development of the canon, a history of the church and of Christian thought, the question of the historical Jesus, and examinations of a wide variety of Christian churches. Doctrinal diversity, worship styles, Christianity and culture, Christianity and science, Christianity and the arts, the ecumenical movement, and Christianity and other religions are also addressed. 781 pages, 24 chapters, 3 appendices, extensive bibliography.